Prudent macroeconomic management and recent structural reforms have helped Colombia weather the recent financial crisis remarkably well. The Government of Colombia has placed particular emphasis on simplifying formalities affecting business and citizens. In addition, a number of initiatives have been launched to make the administration more transparent and accountable vis-à-vis citizens.However, after several years in place, this approach needs to be re-shaped , in order to go deeper into the legal background of regulations. 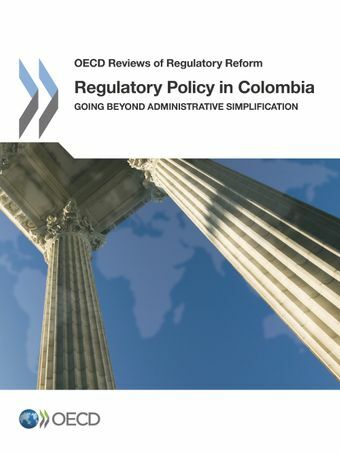 Colombia still lacks a whole-of-government policy for regulatory quality and needs to rethink the institutional set up to implement different regulatory tools in a coherent manner. It also requires the adoption of a systemic approach to challenge the reasons for and the logic behind formalities (trámites) and, most importantly, regulations. Furthermore, as in many other countries, the development and application of a comprehensive regulatory governance approach for sub-national governments and multi-level co-ordination are pending issues.